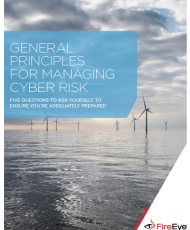 Adopting a new HCM solution involves risks, so you need to look for positive risk-adjusted costs, benefits, and ROI to build a compelling business case and have confidence in your investment. 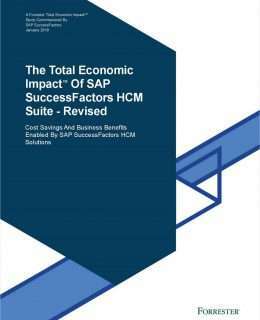 This is exactly what SAP SuccessFactors HCM Suite delivers – and it’s been verified by a recent Total Economic Impact study from Forrester Consulting. Forrester found that SAP SuccessFactors HCM Suite streamlines global HR processes and delivers a strong payback and ROI in comparison to other enterprise cloud implementations. If this is the kind of investment you are looking for, read the full Forrester study, The Total Economic Impact of SAP SuccessFactors HCM Suite, to learn more.